MERRY CHRISTMAS & HAPPY NEW YEAR FROM TGO REALTY! 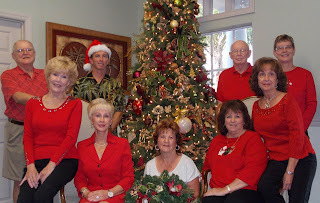 The sales staff at TGO Realty, Inc. would like to wish everyone a very Merry Christmas and Happy New Year. We are truly blessed to live and work in this beautiful resort, and to have had the chance to meet so many wonderful people throughout the year. We enjoyed a fantastic year last year, and are looking forward to an even more prosperous one next year. If you haven't already made your plans to come and visit us, our rental sites are almost at 100% occupancy - so don't delay! Give us a call at 800-621-2267 for more information.